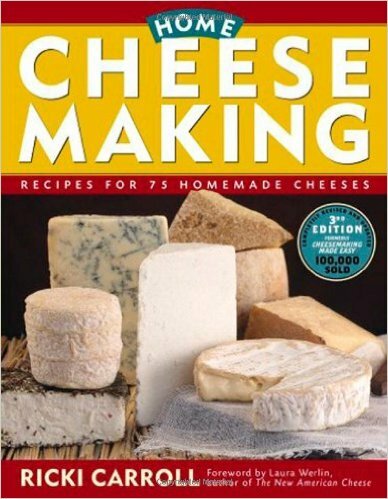 Making cheese is a lot like making bread; it may sound challenging, but with practice and a lot of attention to cleanliness, you can learn to make a wide range of cheeses, including cheddar, edam and even gouda cheese. After all, people have been making cheese for centuries, with most of the cheese being made from home. The Sumerians made cheese back in 4000 B.C., and the Romans made cheese using thistle flowers, safflower seeds and even fig bark soaked in water. 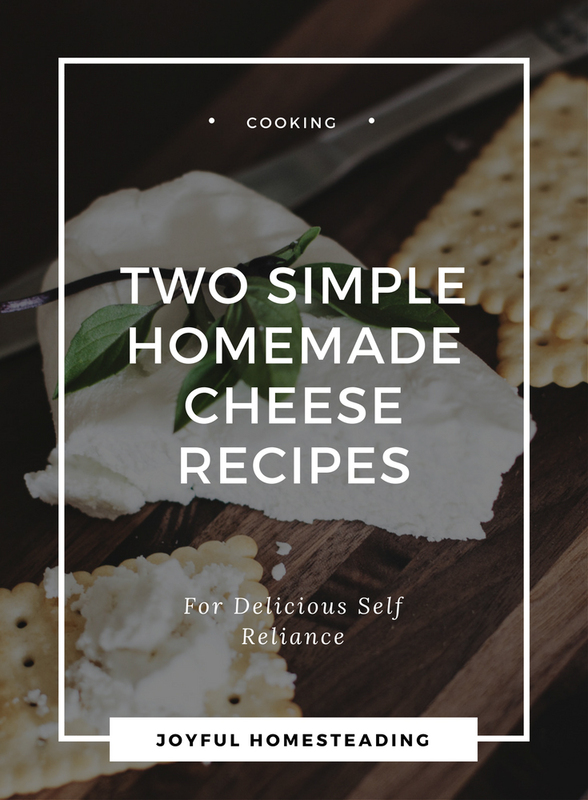 The secret, says Ricki Carroll, author of the book, Home Cheese Making, is to start with the simpler recipes and go on to making cheese that is more complicated, such as the harder cheeses. She also recommends keeping accurate records of your attempts so you can benefit from your successes and learn from the batches that go wrong. Many of the recipes in her book require rennet, a substance found in the lining of calves' stomachs. 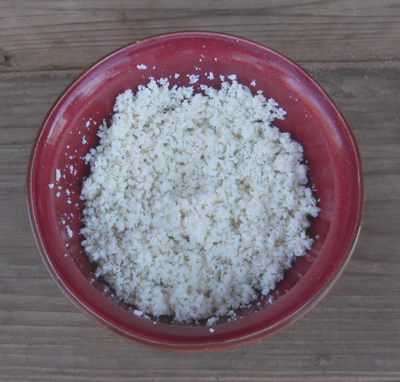 Rennet has enzymes that act on casein, a protein in milk that separates the curds from the whey, making cheese. Any mom of a newborn knows that babies have the exact same enzymes in their tummies, converting that milk to a cheese that fills them and satisfies their hunger (and which they occasionally throw back up), but I digress. You don't have to use rennet from a calf's stomach, but you need some kind of enzyme that will coagulate the milk. Vegetable rennet will also work as will apple cider vinegar and even lemon juice. Two of the simpler recipes from Carroll's book follow. 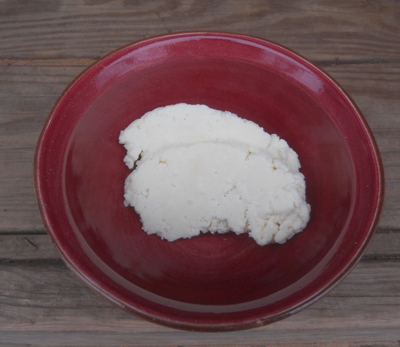 I fell in love with queso blanco during a trip I took once to South America. This cheese is slightly sweet and is incredibly easy. It isn't a spreadable cheese; it's firm enough to slice, although it won't melt like other cheeses. Use it in sandwiches or add it to your stir fry in place in tofu. Place the milk in a large pot and heat it to between 185 and 190 degrees Fahrenheit, stirring it often to prevent scorching. Slowly add in the vinegar, a little at a time, until the curds separate from the whey. If you want to use less vinegar, increase the temperature to 200 degrees Fahrenheit, but do not boil the milk. Ladle the curds into a colander lined with butter muslin. Tie the corners of the muslin into a knot and hang the bag to drain for several hours, or until the cheese has reached the desired consistency. Remove the cheese from the muslin and store in a covered bowl in the refrigerator for up to 2 weeks. This makes 1 1/2 to 2 pounds. Making cheese that is spreadable is also very doable. This cheese has a mild lemony flavor. Place the milk into a large pot and heat to between 185 to 200 degrees Fahrenheit. Add the juice from two of the lemons and stir well. Cover and let the milk set for 15 minutes. The curds should be clearly separated from the whey. The whey shouldn't be milky. If the milk has not completely set, add more of the remaining lemon juice until it does set. Pour the curds into a colander lined with butter muslin. Tie the corners of the muslin into a knot and hang the bag to drain for 1-2 hours, or until the curds have stopped draining. Remove the cheese from the bag. Add salt and herbs to taste, if desired. Store in a covered container in the refrigerator for 1-2 weeks. This makes a pound of cheese.